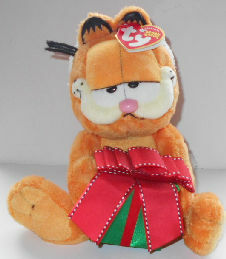 Here is Garfield wearing a Santa hat and holding a Christmas gift. 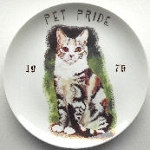 Garfield is 8" high x 3 1/2" wide. This Garfield Ty is copyright 2005. Original tag attached. Previously owned but in good condition.